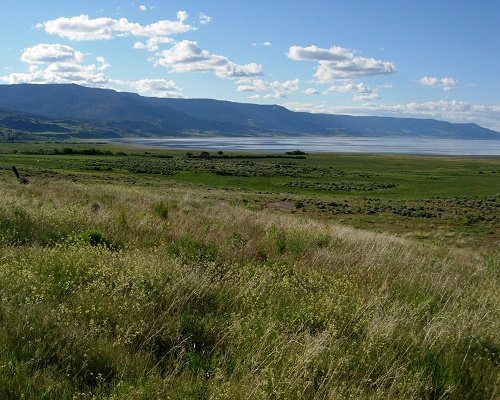 Lake County is located in the high desert south central region of the U.S. state of Oregon, so named for the many lakes found within its boundaries including: Lake Abert, Hart Lake Reservoir, and Goose Lake. The county is among one of Oregon's largest counties; however, it is also sparsely populated with only about 7,895 residents. 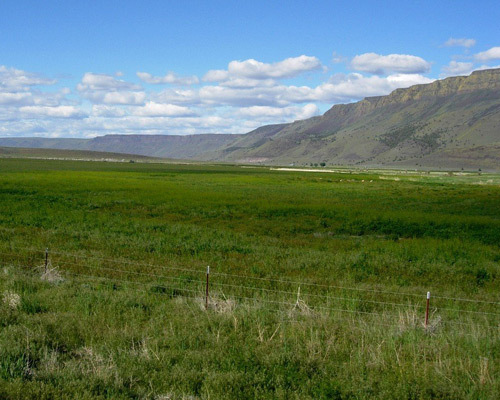 Lake County is in a high desert region known as Oregon's Outback, on the northwestern edge of the Great Basin. The county is generally divided between the communities around Lakeview and Paisley to the south and the communities around Christmas Valley, Fort Rock, and Silver Lake to the north. Its economy consists largely of agriculture and natural resource management and extraction. It is home to many large cattle ranches, hay farms, and timber holdings (both public and private), as well as several frontier towns and early 20th century homesteads. Although lumber was once a primary economic driver in Lake County, today only one mill remains, at Lakeview. Modern European traders, explorers and military expeditions arrived in the region during the early part of the 19th century. Peter Skene Ogden led Hudson's Bay Company trappers to Goose Lake in 1827. In 1832, the Hudson Bay trappers under John Work were in the Goose Lake Valley and their journals mentioned Hunter's Hot Springs. Work's expedition visited Warner Lakes and Lake Abert and camped at Crooked Creek in the Chandler Park area. Lake County once hosted significant populations of Basque and Irish sheepherders. The economy in Lake County is reliant on lumber, agriculture, natural resource extraction, health care, a prison and government. The area is also trying to promote itself for the many outdoor recreational and sightseeing opportunities offered. Lake County includes numerous cattle ranches. Irrigation has also permitted some agriculture based upon the raising of livestock and the growing of hay and grain despite the low rainfall and a short growing season. Lumber and wood products are taken from the Fremont National Forest, Bureau of Land Management properties and private landholdings. The Collins Companies operates the last remaining mill in the area, the Lakeview sawmill, and is also a large landowner in the region. Over 78% of the land in Lake County is owned and managed by the federal and state government. The Lakeview area of Lake County also includes a perlite mine and once included uranium mining (now subject to clean-up operations). Several exploratory wells were dug for oil, but without success. A railroad line ships timber products and perlite to Burlington Northern's rail hub in Alturas, California. At one time the railway was the only County owned and operated rail line in the country. Government employees from the national forest and the regional Bureau of Land Management headquarters provide many of the higher paying salary job in an economy that otherwise would have to rely only on seasonal agricultural, tourism and lumber jobs. 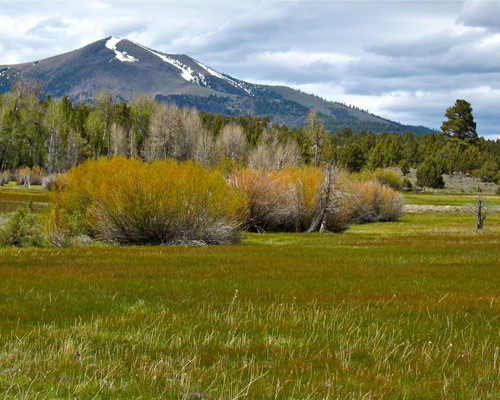 The Bureau of Land Management is landowner of 49% of the lands within the county. 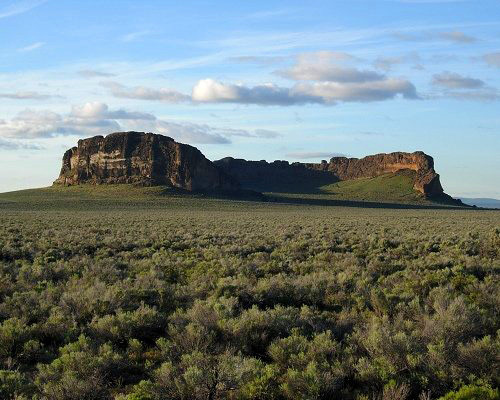 Tourism is a growing industry because of the county's many attractions which include Hart Mountain National Antelope Refuge, Hunter's Hot Springs, Goose Lake, Warner Canyon, hang-gliding and areas for rock hunting. Lake County is home to the Lakeview Hospital, and other regional health care facilities. It's also the location for The Warner Creek Correctional Facility opened in 2005 and is a 400-bed minimum security state prison. The prison employs an average of 110 correctional professionals and is located on a site comprising 91 acres (370,000 m2). The facility itself occupies less than 15 acres (61,000 m2) and utilizes approximately 117,000 sq ft (10,900 m2). of building space which includes areas for inmate housing, work and education programs, health services, food services, religious services, physical plant, warehouse and storage, vehicle maintenance, a laundry facility, recreational activities, administration and various other functions. A unique feature of the prison is its use of natural geothermal sources deep inside the Earth. The geothermally heated water is pumped up through a well and piped into a heat exchange unit where the heat is then transferred to the prison's water-loop system. Once the heat has been transferred and the water has cooled, the water is re-injected back into the ground. If you have any questions about Lakeview our would like to learn more, please feel free to contact us.